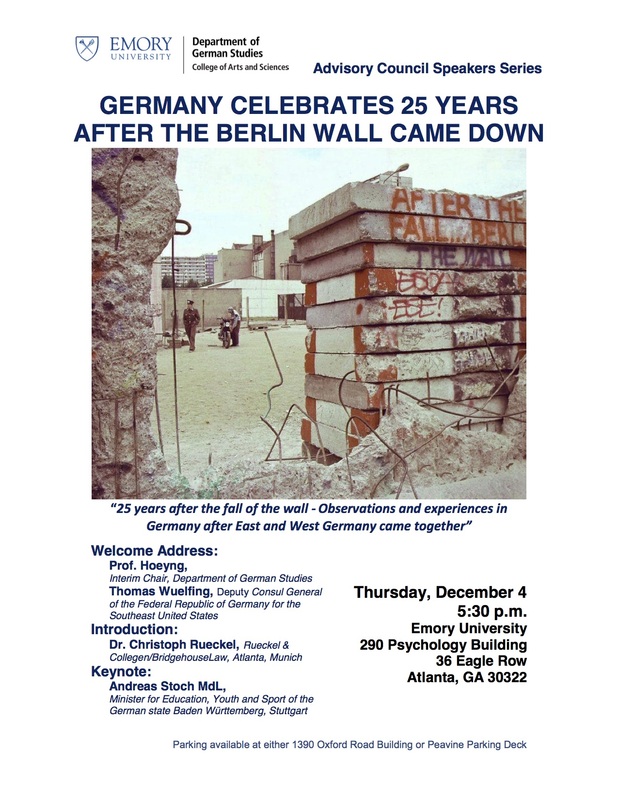 German Studies at Emory U hosts an event to commemorate the dismantling of the wall 25 years ago. will give a lecture in celebration of the fall of the Berlin Wall 25 years ago. The lecture on Thursday, Dec. 4 will begin at 5:30 in 290 Psychology Building, 36 Eagle Row. The lecture will be followed by a reception in 201 Modern Languages Building.